Its mango season and I am all about them. Like believe me while writing this, I am sitting with huge bowl full of mango chunks. I thought why not put overripe ones to use too. 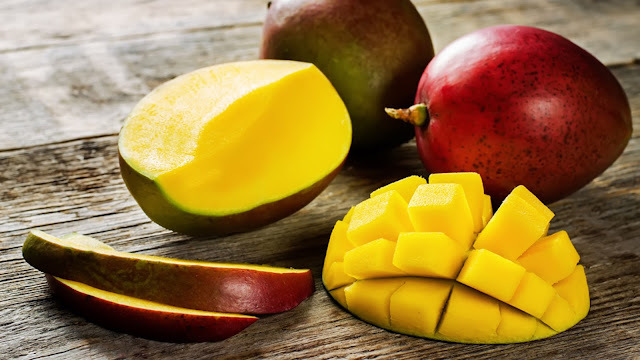 Here is a mango mask for glowing skin. Mango is great for removing suntan, and it adds an instant glow to skin. 1. Mash mangos with a fork. 3. Apply it on washed, clean face and neck. 4. It might tickle, leave it on for 10 minutes, wash off and apply moisturizer. This easy DIY Face mask leaves skin smooth and soft. The mango face mask is perfect summer face mask, cost effective and great for de-tanning.